The ten best films of 2011. Want to cause a panic? Try yelling "Art!" in a crowded multiplex. Given the general movie-going public's antipathy toward foreign films, silent flickers, documentaries, high-flown "serious" dramas, and pretty much anything with subtitles, the warning that an art movie is about to be unleashed should clear the place out in a jiffy. But we're not like that, are we? We're the sort that waits patiently, sitting through the general run of commercial releases — giant robots, fireballs, meathead comedies, formulaic kiddie spectacles — biding our time until Lars von Trier is ready for us. Because the creations of the enigmatic Herr von Trier, along with those of Cary Joji Fukunaga, Göran Olsson, Lech Majewski, Jean-Pierre and Luc Dardenne, the late Raúl Ruiz, Alexander Payne, Tomas Alfredson, Cristi Puiu, and the estimable Terrence Malick are our idea of a nourishing night at the movies. Heavily hyped maestro Malick aside, a worthwhile art pic usually isn't going to come up and put itself in your face. The market for art represents a slender sliver in the sphere of the entertainment business, so there's almost no budget for advertising and publicity. More often than not, you're going to have to put on your boots and hunt it down. That means spending time at the Pacific Film Archive, the San Francisco Film Society Cinema in SF's Japantown, and other places where popcorn is scarce. For instance, The Kid with a Bike played exactly twice at the SF Film Society's "French Cinema Now" in October — it's reportedly scheduled for regular theatrical release sometime in 2012, but don't hold your breath. If you weren't paying attention to the Film Society's calendar, you missed a Cannes Grand Prix winner and another example of the Dardennes' devotion to telling the stories of marginalized people, in this case a mixed-up, pre-teen boy named Cyril Catoul. As portrayed by first-time actor Thomas Doret, youth shelter runaway Cyril is a distressed Tintin trying to put down roots in the Belgian underclass against the usual odds: a father who has no time for him (Jérémie Renier) and a tough older boy who uses Cyril as a felonious gofer. Luckily for Cyril there's a woman who cares, played by the lovely Cécile de France. The Dardenne Brothers (Lorna's Silence, The Child, La Promesse) specialize in heartbreaking scenarios without pathos, a tricky proposition yet one for which they're recognized as world masters. Cristi Puiu's Aurora is a similar project for art-spelunkers. Romanian filmmaker Puiu (The Death of Mr. Lazarescu) not only wrote and directed this ice-cold diary of a taciturn killer, he also stars as the film's walking vortex, a man named Viorel who spends his screen time skulking around Bucharest in between sudden, unexpected outbursts of violence. Something deadly is brewing inside his head but it doesn't take shape in the dialogue — Aurora could function almost as a silent film. If we had to pick one film from the "Romanian new wave" of recent years, this would be it. It showed at the SF International Film Festival and later at the SFFS' New People Cinema. Difficult, but worth the effort. Jane Eyre, on the other hand, marched into art houses last March with full fanfare, as the latest adaptation of Charlotte Brontë's classic gothic novel and also as director Cary Fukunaga's follow-up to his sensational first feature, Sin Nombre. The project had a couple of secret weapons — busy actors Mia Wasikowska and Michael Fassbender, two of 2011's most-utilized players — as well as a thoughtful screenplay adaptation by Moira Buffini. Australian product Wasikowska continues to enthrall. You could put her, Fassbender, Jamie Bell, Sally Hawkins, Simon McBurney, Judi Dench, and Craig Roberts in Bermuda shorts on a golf course and they could makes us believe in the inexorable workings of the English governess' fate — if Fukunaga were at the helm. One of the year's most conspicuous inconspicuous releases. Q. What started out as a collection of half-forgotten videotapes in the basement of Sweden's state-owned TV network and ended up as a miracle of documentary art? A. 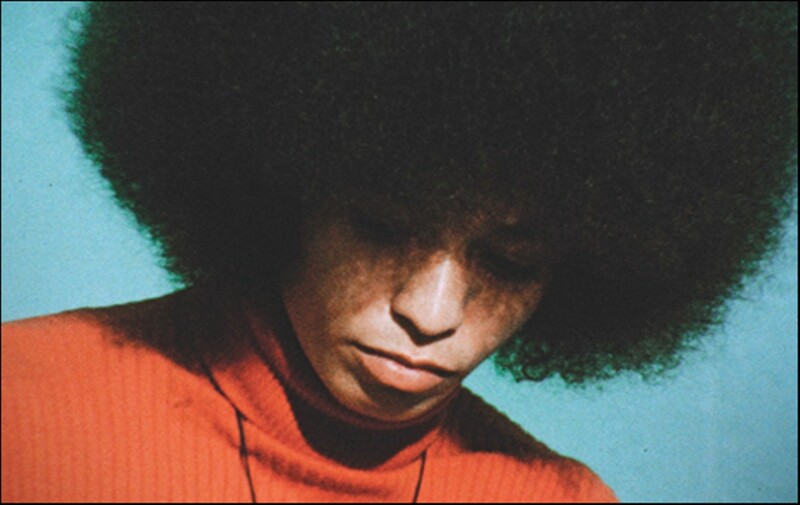 The Black Power Mixtape 1967-1975. Doc-maker Göran Hugo Olsson's thrilling American history lesson has more going for it than mere "Boomer-bait" nostalgia. These TV news segments, shot mostly in New York and Oakland for broadcast in Sweden and now edited into a cohesive survey, give all of us, not just Sixties movement veterans, a precious gift. Not only is it a vision of ourselves as others saw us then, but a still-timely portrait of the American spirit as articulated unforgettably by Stokely Carmichael, Angela Davis, filmmaker Emile de Antonio, and Harry Belafonte, among others who helped shape the last — or was it? — great era of anti-establishment dissent in this country. The real-est documentary you'll ever see, it screened for a couple of weeks in September at Landmark theaters after debuting at the SF International Film Festival.